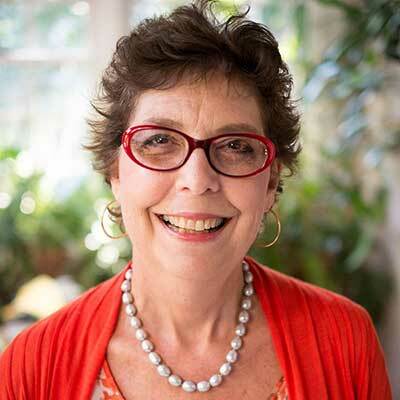 For many Italians, first and foremost are the pleasures of the palate, and Piedmont, in the North-Western side of Italy, is a real paradise for food&wine lovers, and – by no chance – the birthplace of the Slow Food movement. The unpretentious attitude that characterizes people from Piedmont has often hidden to the rest of the world their extraordinary achievements in many fields, including oenology and gastronomy: ever heard of Barolo wine, tartufo d’Alba (white truffle), Martini vermouth? They all come from Piedmont. But despite all their efforts to keep the secret, in the “Best in travel” guide by Lonely Planet, Piedmont is the world’s top region to visit in 2019! Please watch this short video here. 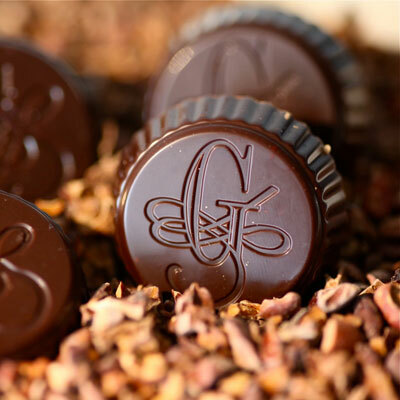 The tradition of chocolate making in Turin started in the 16th century, when Emanuele Filiberto Duke of Savoy brought some cocoa beans here from Spain. 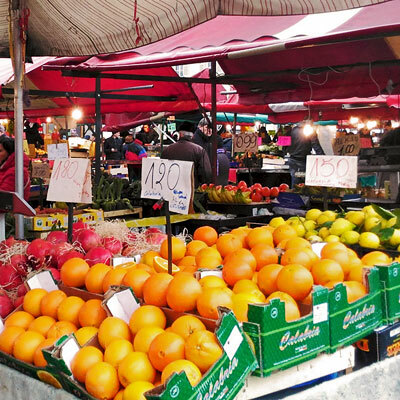 Porta Palazzo is the biggest street market in Europe. Go searching the ingredients of an unforgettable cooking lesson through the maze of the food vendors’ stalls. 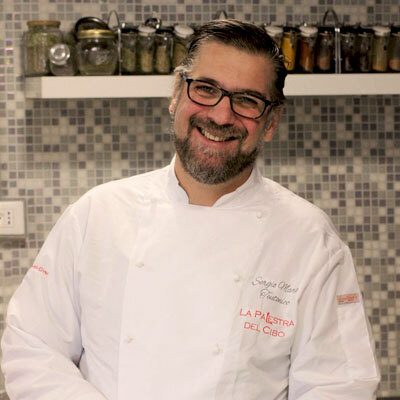 Executive chef Sergio Maria Teutonico, a TV star in Italy, will be your teacher in Turin at his school called “Cooking Gym”, so let’s start training! 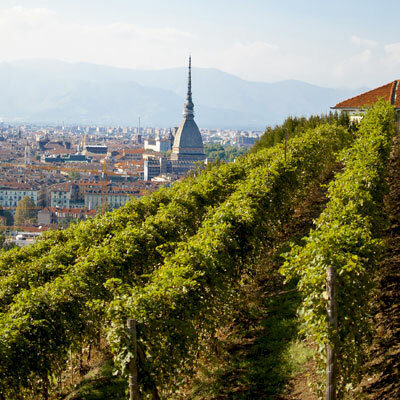 Vigna della Regina (the Royal Vineyard) in Turin is one of the very few vineyards located in urban settings in Europe; it was replanted by Balbiano Winery with Freisa, an ancient local grape. 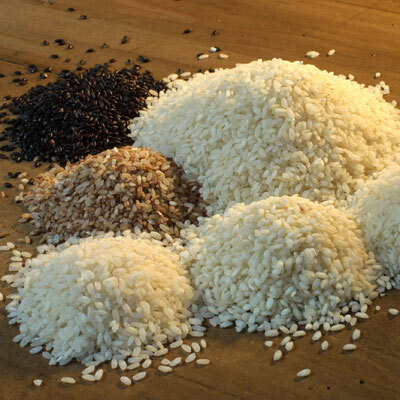 In Piedmont you find the biggest rice producing area in Europe, and some of the varietals cultivated here (like Carnaroli and Arborio) are the best ones for traditional Italian risotto (creamy rice). 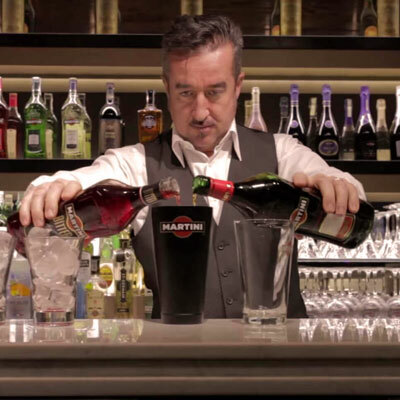 The aromatized, fortified wine called Vermouth was first produced in Turin, and since 1863 this name has been one with the Martini brand. Experience a mixology class in its historic premises. 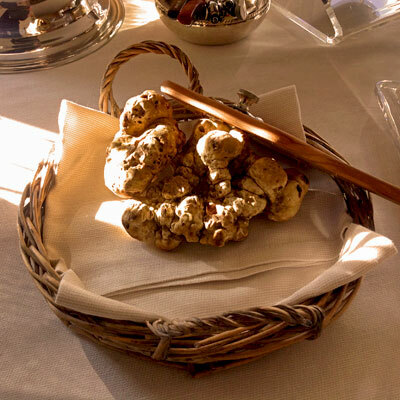 Black truffles, white truffles… woods in South Piedmont are like a treasure chest. Listen to the trifulau’s (truffle hunter) local stories and legends, and watch his dog digging out the jewels. Piedmont is famous for its incredibly wide variety of cheeses, made by farmers today following the rules of their forefathers. 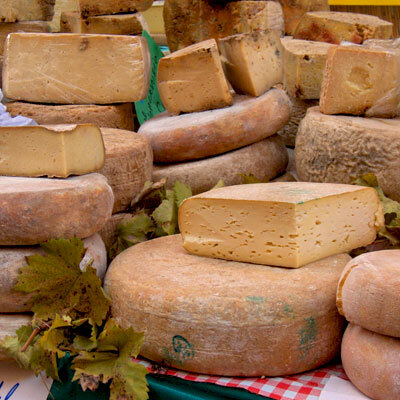 Don’t miss the many versions of caprino (goat milk cheese), a real delicacy. 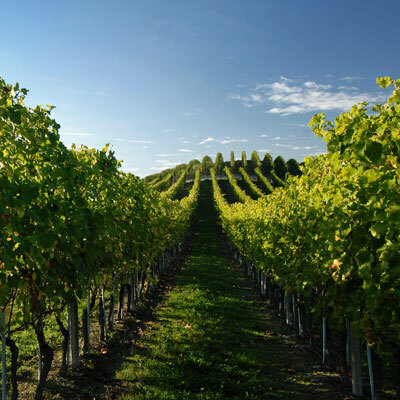 Last but not least, the Vineyard Landscapes of South Piedmont were included in the Unesco World Heritage list as “an outstanding example of man’s interaction with his natural environment”. Contact Aliza for the detailed program and make your reservation!